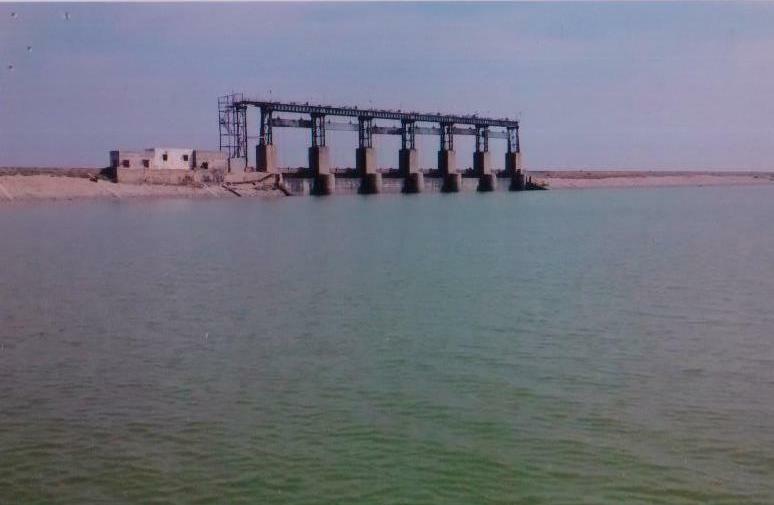 The Gajuladinne Project (GDP) renamed as Sanjeevaiah Sagar, is a Medium Irrigation Project constructed across Hundri, a tributary to Tungabhadra in Krishna basin near Gajuladinne village in Gonegandla Mandal of Kurnool District. The location of the scheme corresponds to longitude 77°37’20”E and Latitude 15°41’48”N. The Hundri takes its origin in Pathikonda hills and travels 130 kms before it joins Tungabhadra. The flow in the river is dry except during monsoon. The GDP provides irrigation facility to 25,454 acres of ID crops in Rabi. The project serves 21 villages in four mandals of Kurnool District viz., Gonegandla (9 nos), Kodumur (5 nos), Krishnagiri (6 nos), and Devanakonda (1no.). The WUA Project committee is formed with 2 WUAs in LMC and 10WUAs in RMC. The project was taken up for execution during 1971 and completed by 1987 at a cost of Rs 263 lakh. The project is constructed with a storage capacity of 4.50 TMCft at FRL of + 377.000 M.